Here is the start of my new line; the beadsoul boho collection! There is more to come, but I have to find that precarious balance between creating new things, filling orders and for goodness sake, keeping this house from falling down around my ears! 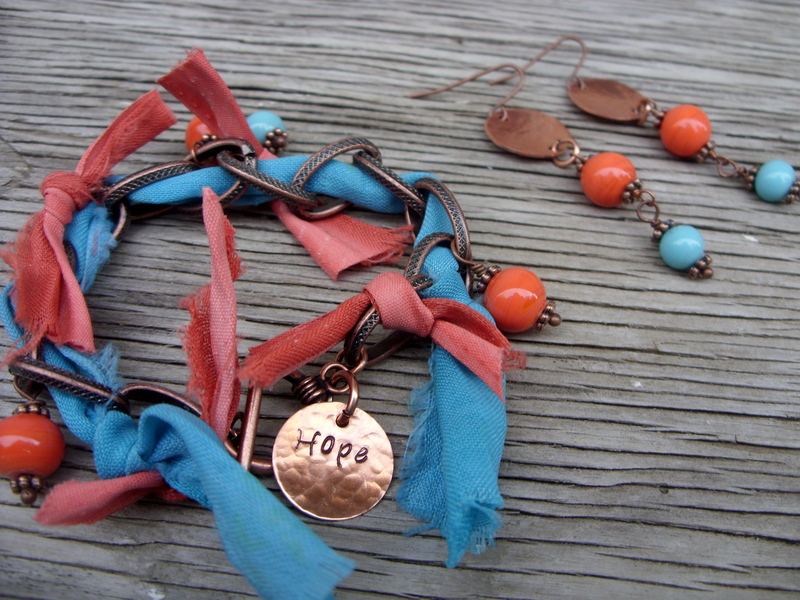 So far, all that is available in my Etsy shop https://www.etsy.com/listing/102278975/bravo-boho-earrings-copper-discs-vintage is the pictured bracelet and earrings. I have about 40 pounds of fabric, chain and beads to turn into more fun boho finds, so stay tuned! ← Rings, picks and gems!